MoooseGuy has contributed to 4333 posts out of 468653 total posts (.92%) in 3,911 days (1.11 posts per day). All Halo games on PC, after all these years! The future is bright! I remember joining the Halo PC community almost 14 years ago. It has been an amazing experience modding and creating maps with the community. 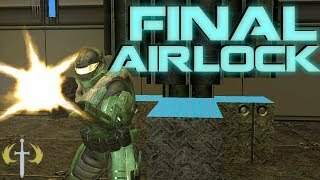 We Halo CE guys ported tags, recreated modes like firefight, and put our own spin on custom multiplayer. I believe this spirit will continue in MCC, with or without an HEK. I look forward to seeing the future of Halo's vibrant, creative, and friendly community. We did it! The day has arrived! Great job CMT! Just a side note for those who are wondering, in the UI files, a button assigned to load a specified map will have its widget reference a static script. Once a level is selected, it then goes to the difficulty selection menu. The difficulty buttons, when selected, each reference a static script as well that then loads everything properly. For example, if I wanted to load the first Lumoria level, I would have that button's widget set to run the "lvl_lumoria_a" static script. This script, when run, sets the "level" global value to 22. The widget will also be set up to go to the screen for difficulty selection. Each button, easy through legendary, corresponds to a related static script. If I decide to play Lumoria on Heroic, I would select that button. That button is set up to run the static script "diff_hard". Within that script, it sets the difficulty to hard, waits a few frames, and then runs the "bangbangtime" script. This is where the magic of the Universal UI happens. Based on the level that was selected a few steps ago, the value of the global that was set now tells the game to load its associated level. Based on this, you can add new levels to the UI as needed, just by creating a new static script for that level and using an unused number for the global. For example, if i wanted to make a button for a level called "boogers", I would add "(script static void lvl_boogers (set level 97))" to the bottom of the script document. Then, I would add "(if (= level 97) (map_name boogers))" to the bangbangtime script, and then create the required widget files in the tags folder. Hopefully this helps clear up any confusion! Good evening! I have been getting multiple requests for the scripts that were used in the Universal UI. Luckily, I just came across a copy of them on one of my external hard drives. Therefore, I am releasing them to whoever wants to pick them apart. Edit: I added more details on how the script works below. but I've never actually seen so many people feed trolls and have completely pointless arguments than on this forum. This entire thread should not even exist - it has nothing to do with "Halo CE General Discussion" or Halo at all for that matter. A game can keep living for decades if there are at least a few players. Therefore, Halo CE will never "die", but it will reach (or has already reached) the point of complete obscurity. ...and this is another reason I left HaloMaps. 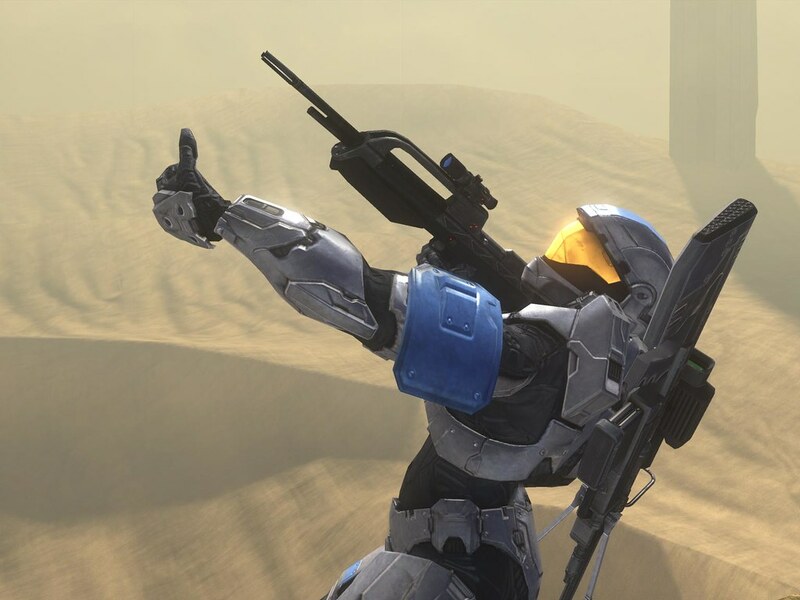 Life things have unfortunately overwhelmed my schedule, therefore I have had to step back from Halo CE in general. That said, Pepzee and Spiral are continuing to do an amazing job on development for Firefight Portent II. Pepzee can likely give a better update on where it is now. No offense to the thread. But Halo 5 is now an official joke. A black dude Vs. Master Chief? Everyone has a right to their opinion. However, I think that this is a nice change of pace for the Halo saga. Having two human groups facing off against each other is a welcome shift from the ever present humanity-vs-aliens story they've had since 2001. I especially enjoy the fact that they are bringing the shiftiness and secrecy of ONI into the games. Especially in this day and age, when government invasion of privacy is a hot topic. What I'm getting from this is that the construct is likely on Sanghelios, something is leaving the place in ruins, and there's classic banshees in this picture. Yeah, I noticed the classic banshees as well. Do you think they'll be making a comeback? I'll just leave this almost-completed collage piece here. Yeah I lost it there. Hahaha. I'm gonna tell you guys, coming back from the outside and looking in, the amount of fuggs given about this game outside of Russia will be abysmally low. It seems like a big deal here in the forums, but ultimately, I think some of your guys' talents should be put to something more productive. Time: Thu April 25, 2019 3:02 AM 1,188 ms.